into your water well services! 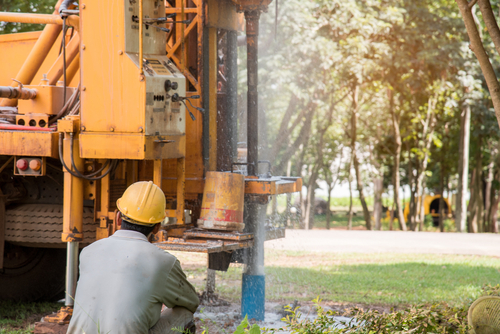 Since 1967, Easley’s Water Well Drilling has provided prompt and professional well drilling services to customers throughout Lincoln County, MS. Plus, we follow up our services with everything you need to plumb your well, service it and keep it running smoothly. Contact us today for a free estimate on services or to get emergency assistance from our well pump experts. Customer satisfaction is our first priority. We see your family as part of ours and always strive to deliver satisfaction that can’t be beat! We’ve been in business since 1967, giving decades of expertise that we put to work for our customers on each and every job. Our business is fully licensed with the State of Mississippi (Water Well Driller Number 510). We proudly maintain an A-plus rating with the Better Business Bureau (BBB) and strive to uphold that excellent rating at all times. We’re happy to provide you with a free estimate on service! Plus, we offer emergency calls to make sure you’re getting service when you need it most. Having clean, safe potable water from a well that’s in good shape and proper function is a staple of any modern home. But this doesn’t happen by magic! It starts with proper water well drilling in Lincoln County, MS and is made possible by the hard work of well service professionals, like the team at Easley’s Water Well Drilling. When you need a well that’s drilled to perfection, properly plumbed and installed the right way, we’ll make sure you get it. And we don’t stop there! Our abilities include everything necessary to maintain the integrity of that well from here on out. Having low pressure problems from your well pump? Need repairs to your plastic or steel casing? Ready to upgrade to a newer well system? Whatever demands your well may have after it’s drilled, our team will make sure they’re addressed thoroughly. From maintenance to water well repair in Lincoln County, MS, our focus is on making sure we’re able to meet your expectations each and every time you call us for well service. And, to top it all off, we use only the best products and stay up-to-date on all trends and practices, to make sure the work we’re doing serves you diligently each and every day. Need to schedule new well drilling? Dealing with pump problems that need emergency attention? Give us a call today and get the services you need, provided by experts.